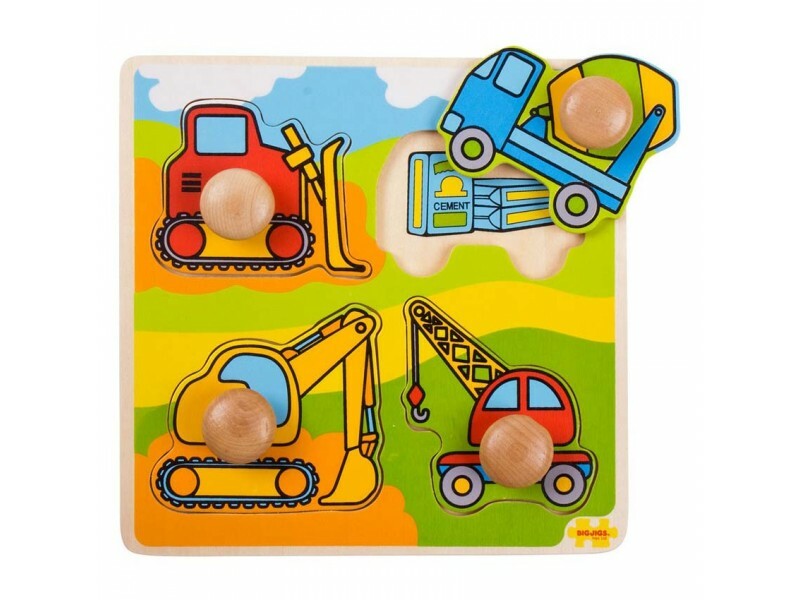 This four piece wooden peg puzzle is perfect for young children who are fascinated with construction vehicles. 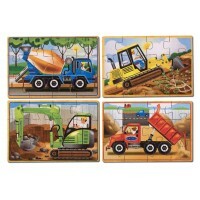 Children will enjoy matching the vehicles with the correct slot on the board. 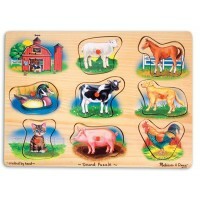 First peg puzzles encourage children to develop dexterity, hand/eye coordination and concentration skills. 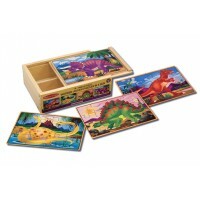 Very easy to handle, bright and colourful. Ideal for a first puzzle. My son is 19 months and the peg is a great size. My little boy loves his first puzzle.